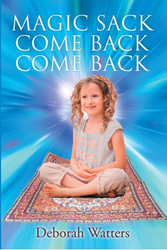 A whimsical tale of an Australian girl’s quest for self-transformation in new book "Magic Sack Come Back Come Back." I wanted to write a book full of positivity and empowerment, even in the face of grim circumstances. Finding the magic in life is an important part of growing up. For Shoshi, finding it wasn’t hard at all. Young girls face fear and uncertainty when trying to determine their life paths. Shoshi’s example of open-mindedness, temerity and love can inspire readers as they grow in their own lives. Deborah is a former teacher who lives on Sydney’s northern beaches. “Magic Sack Come Back Come Back” is her first book, inspired by the bedtime stories of her childhood. She is passionate about the environment and conservation.